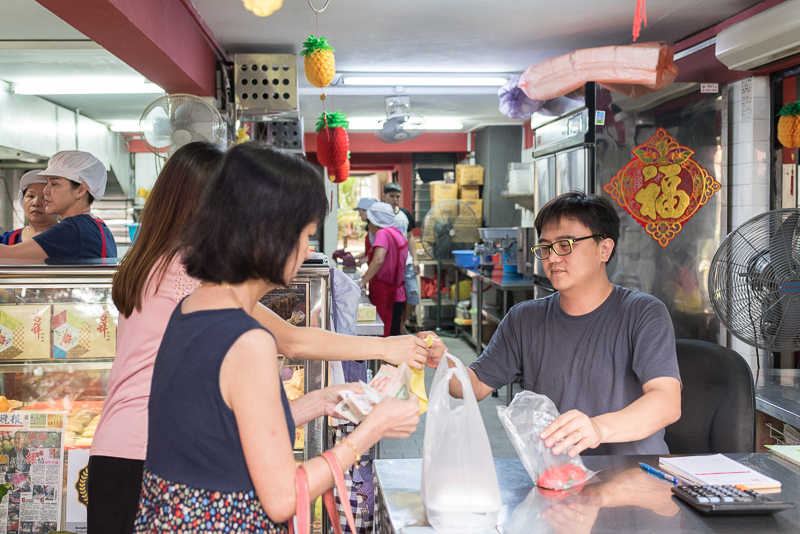 As more businesses are replacing the warm human touch with the cold efficiency of machines, Ji Xiang Ang Ku Kueh remains as one of the few gems in Singapore that stays firm to its traditional roots. 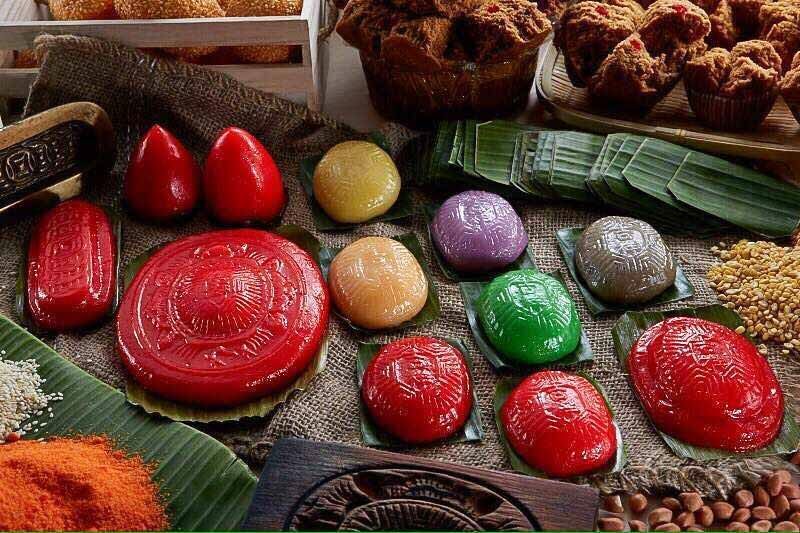 If you’ve never had an ang ku kueh (aka Red Tortoise Cake), it’s basically a steamed Chinese pastry made of soft sticky glutinous rice flour skin wrapped around a sweet filling in the centre. While traditionally red in colour and shaped like a tortoise shell (hence the name), quite a few varieties have emerged over the years. 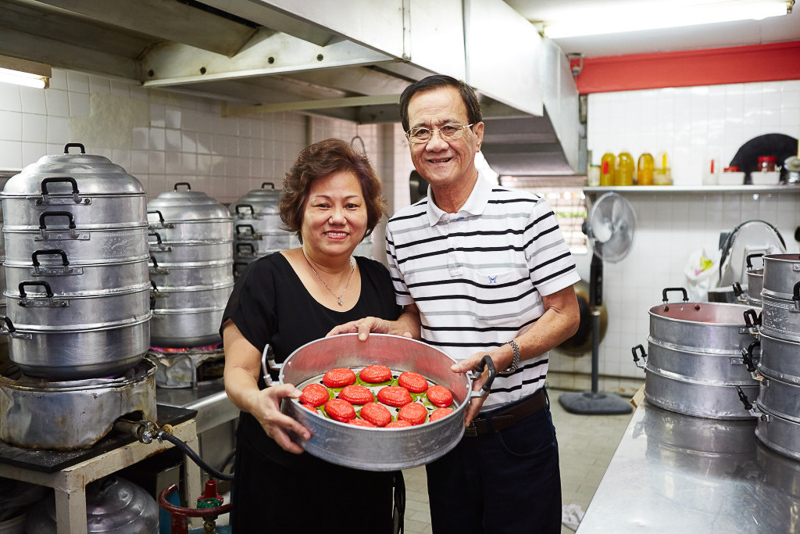 Credit | Mr and Mrs Toh, founders of Ji Xiang Ang Ku Kueh. 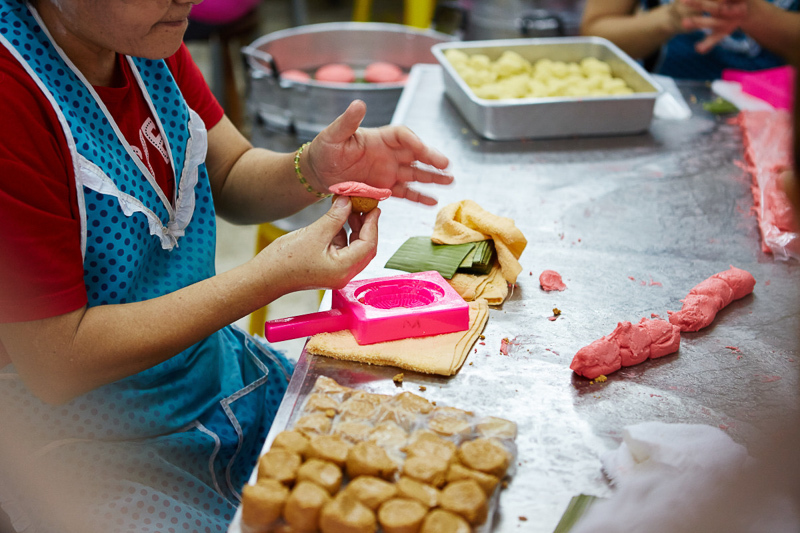 Ji Xiang Ang Ku Kueh’s founders, Mr and Mrs Toh, persevere in moulding ang ku kuehs by hand despite the tedious and time-consuming process. Keeping it handmade is the only way to achieve the best texture, they explained. 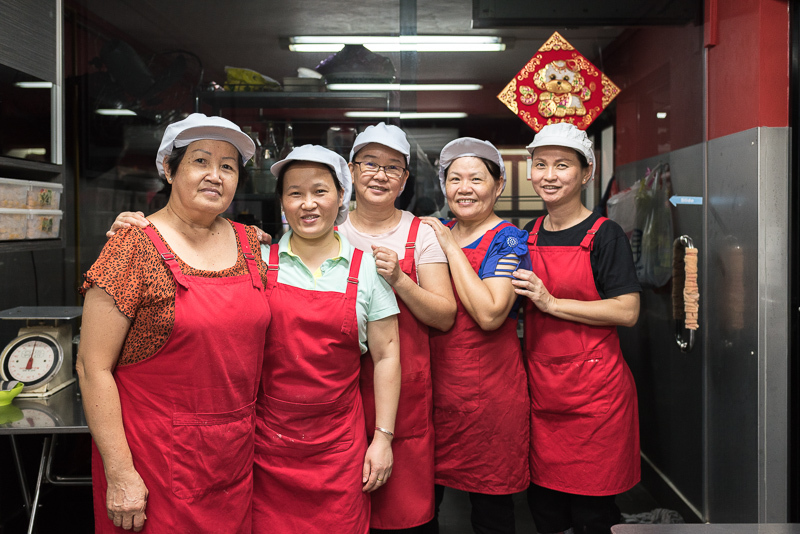 Ji Xiang Ang Ku Kueh started as a home business in 1985. Back then, Mrs Toh worked from her living room, which was void of furniture apart from the four tables she used for making the ang ku kuehs. 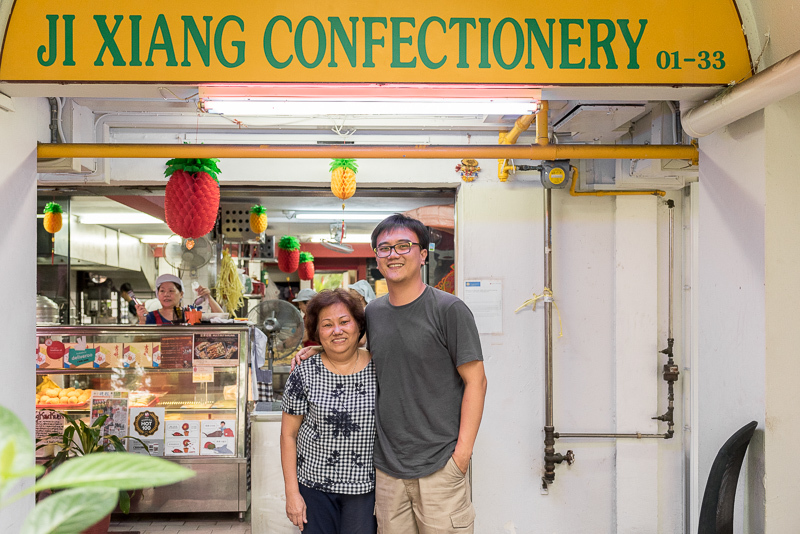 After picking up the basics of making ang ku kuehs from a course, she tweaked the recipe and created small batches to be sold in a provision shop. The ang ku kuehs – which were initially only a hobby and her way of contributing to the family income – became so well-received that she had to hire four people to help out. Mr Toh was also roped in. Three years later, the business outgrew their HDB flat and they opened a physical store at Everton Park. The store consists of a counter for walk-in customers to pick up ang ku kuehs as well as an extensive production space at the back. It’s been 30 years since and the shop still stands tucked away at the corner of Block 1 Everton Park. Meanwhile, the one-(wo)man show has grown into a 20-people operation, with five members of the Toh family involved in running it. She had never imagined that the response would be so good. “Initially people only bought one or two kuehs. If someone bought six at a go, I would be chuckling in disbelief,” said Mrs Toh in Mandarin. The brand has since garnered its fair share of loyal supporters, with some customers returning regularly for more than 20 years. 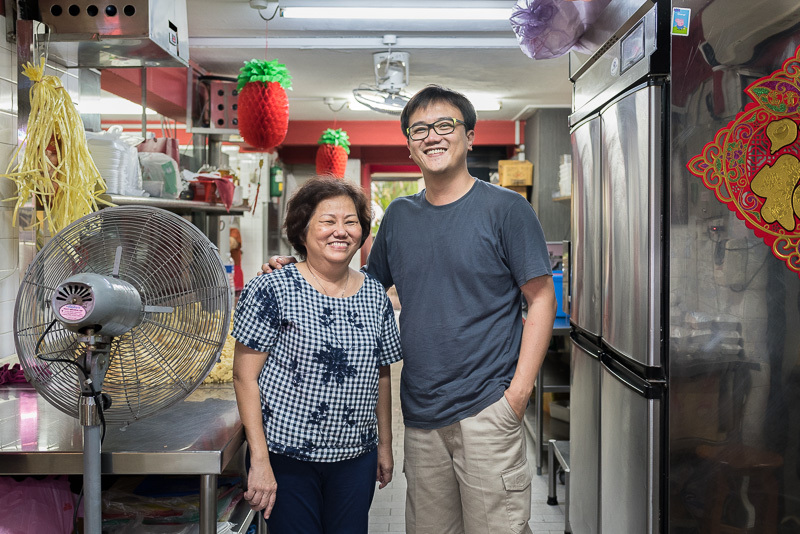 Since an ang ku kueh is made of simple components, it’s the quality of the ingredients used and the techniques that matter, shared Kelvin, Mrs Toh’s son who oversees the marketing aspect of the business. Making an ang ku kueh takes up to an entire day, he added. However, in order to meet the demands of the morning crowd, workers will prepare the raw ingredients a day in advance. The process can be broken down into three main components – the pastry skin, the filling and the banana leaf. The pastry skin is made from a mixture of glutinous rice flour, oil, salt and sugar and it’s always done a-la-minute. This means that if 200 pieces of kueh are needed, 200 pieces of pastry skins will be freshly made. Different ingredients require different preparation procedures. For the mung bean filling, the raw beans would have to be soaked, steamed, mashed, cooked with sugar, chilled and then portioned. The banana leaves look deceptively plain but it’s a pain to have to cut them to the right size, he explained. This is especially since they have to cut 30kg worth of banana leaves twice weekly. Finally, the filling and pastry skin is combined and moulded into shape before being placed onto the banana leaf. 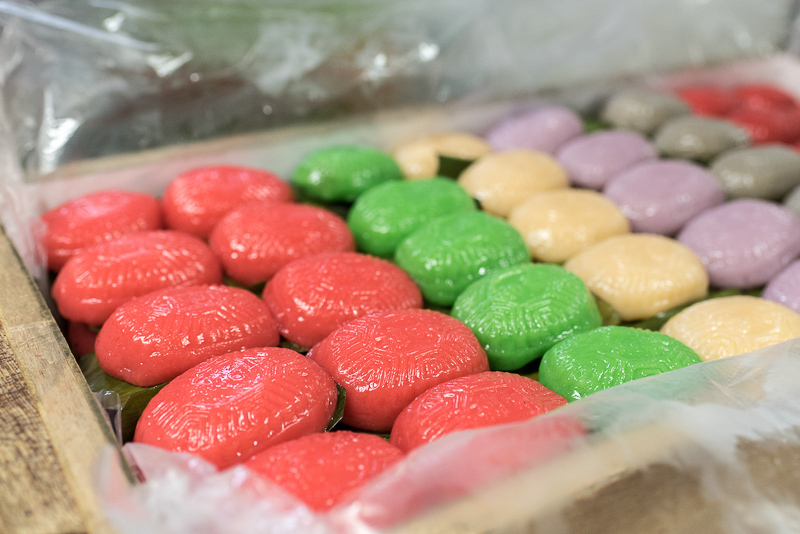 After being steamed, the result is a perfect ang ku kueh with a glistening skin and a soft, chewy texture. 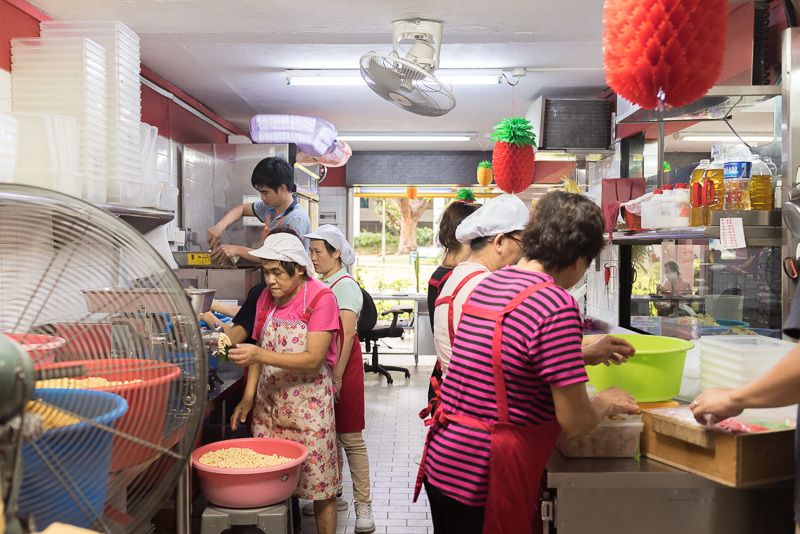 What differentiates Ji Xiang Ang Ku Kueh from other brands is that their kuehs are always freshly made on the day itself. This is important because kuehs left out for too long will turn stale and dry. A tip that Kelvin shared is to consume the ang ku kuehs within a day if possible. Otherwise, they can be kept for two to three days if stored in the refrigerator. The faces and dexterous hands behind the brand’s well-loved ang ku kuehs. Work begins at 6am and the shop is usually closed by 5pm. 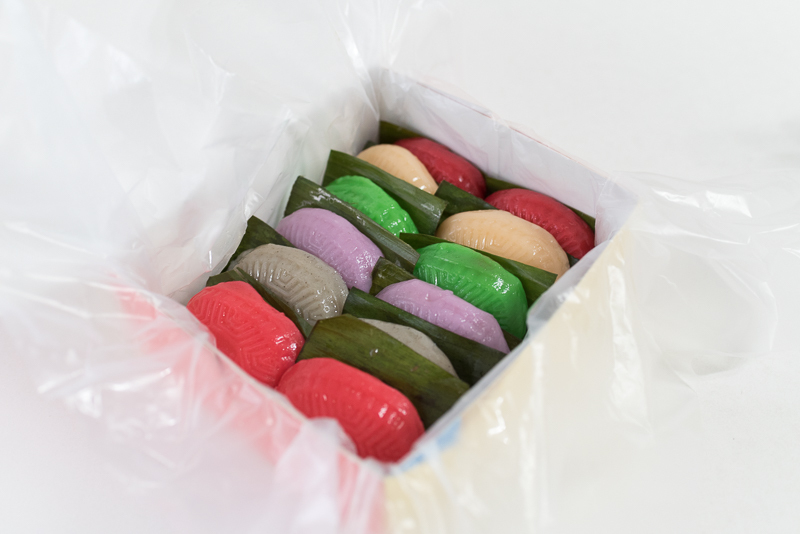 The first batch of ang ku kuehs will be rolled out by 8.30am and popular flavours like coconut tend to sell out after lunch. Once a particular flavour is running out, more will be made in small batches of 100 to 200 pieces. 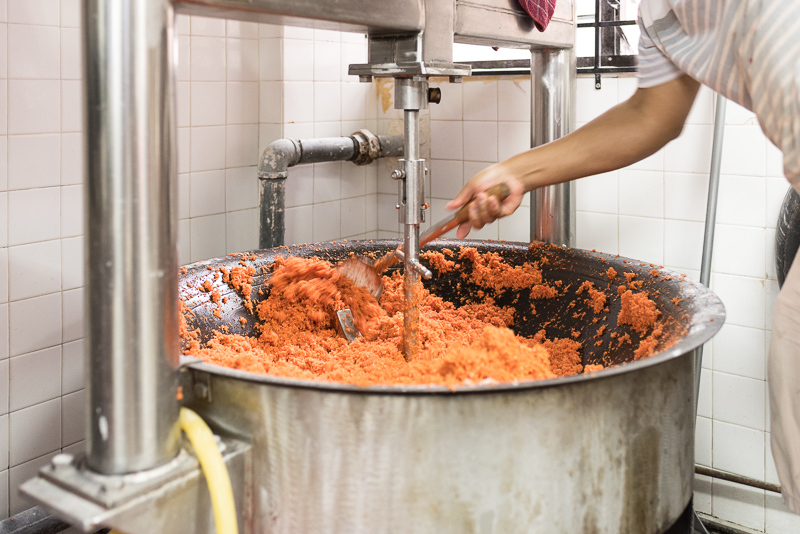 Otherwise, the bulk of the day’s ang ku kuehs will be made in the morning, with afternoons dedicated to preparations for the next day. A mother-and-son tag team. Left: Mrs Toh, Right: Kelvin. After a decade of working elsewhere, Kelvin decided to join the family business four years ago, helping out with marketing and the day-to-day operations. He explained that each family member has a specific role to play – his elder brother is “the operations guy who handles the productions”, his father is the one who “signs the cheques” and his mother “everything touch a bit”. Kelvin also helps out wherever is required. He can be found doing the packing or manning the counter from time to time. Working for the family business is more fulfilling since “you work hard and your family will all see the results“. However, there are a lot of difficulties too, he added, citing his parents’ traditional mindset as one of the biggest challenges. “They’re very hesitant to change,” he added. Also, getting into arguments is more painful when one is dealing with family. After all, when the workday ends, you’ll still see your “colleagues” at home. Luckily, his parents are alright with him experimenting under one condition – he is not to disturb their production process or the operation of the shop. 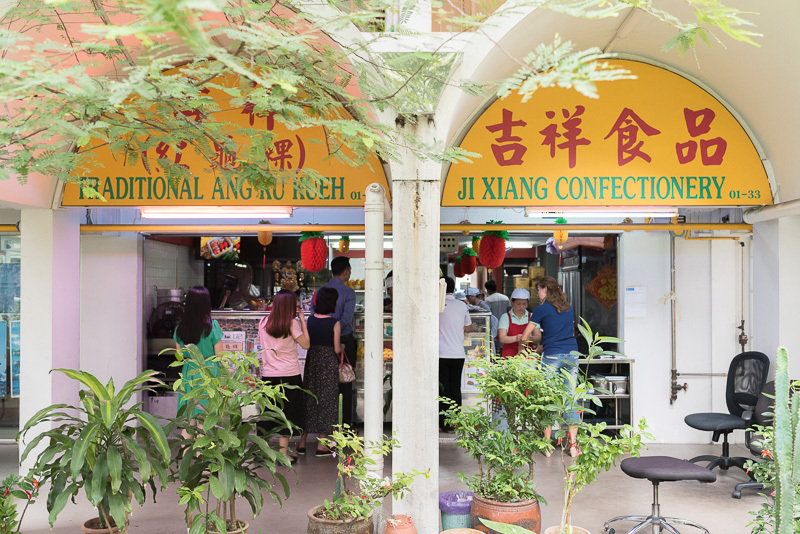 Despite the traditional nature of the business, Ji Xiang Ang Ku Kueh has to constantly innovate in order to keep up with the times. 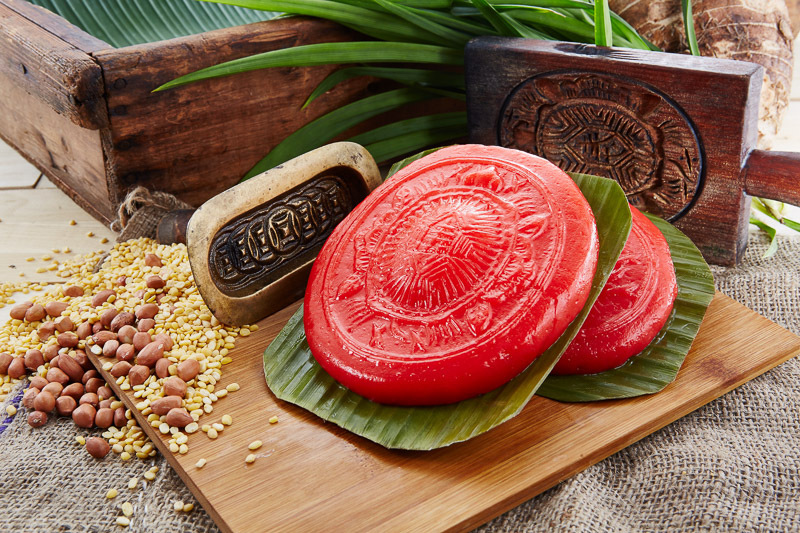 Nonetheless, the brand stays true to its roots and still offers traditional forms of ang ku kueh for pre-orders, such as the ka ta kueh, tiong ku, money kueh and the ang ee. From left to right: Mung Bean, Salted Bean, Yam, Coconut, Durian (seasonal) & Peanut. In addition, five new flavours have been introduced since the brand’s inception, bringing the total available flavours to seven. 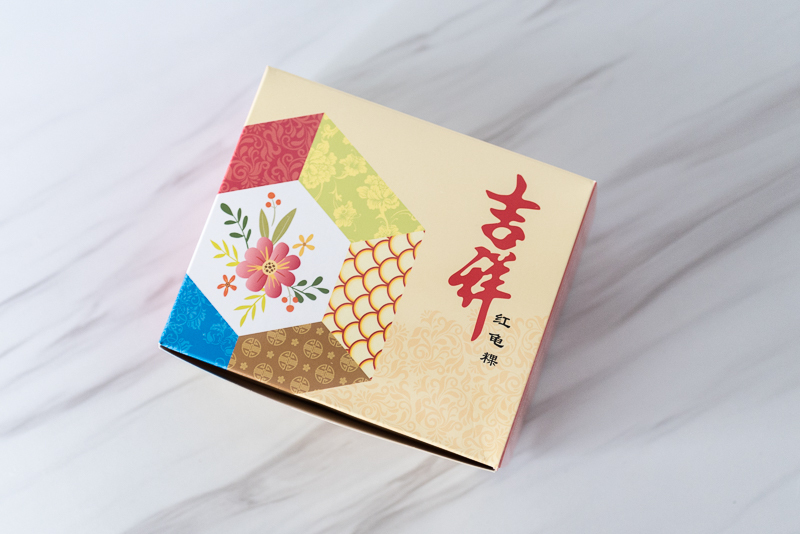 The Salted Bean flavour was Mr Toh’s recommendation while the Yam and Durian flavours were Kelvin’s idea, designed to cater to the younger generation’s palates. Kelvin has also expanded the brand’s online presence through its website and Facebook page. The business is also listed under Deliveroo and Foodpanda. They receive more online orders nowadays but the bulk of the orders are still from walk-in customers, he admitted. I know what I’m craving now and I sure hope these traditional snacks stay around for generations to come!